BMW declassified the first special version of the coupe 8-Series First Edition. The novelty is expected in a limited edition, which will be in 400'. The car got unique elements from the BMW Individual division. BMW 8-Series First Edition got the body shade of Frozen Barcelona Blue, along with special inserts on the radiator, 20-inch wheels and special exhaust pipes. By paying, customers will receive a carbon bodywork M-kit. The interior is decorated with natural leather and Alcantara. The front panel received a sign with the name of the special First Edition series, as well as an individual serial number. The novelty will be sold in the top performance M850i ​​xDrive. Under the hood there is a 4.4-liter V8 with 2 turbines, issuing 530 'horses' and 750 Nm. The unit interacts with 8-speed automatic transmission and all-wheel drive system. 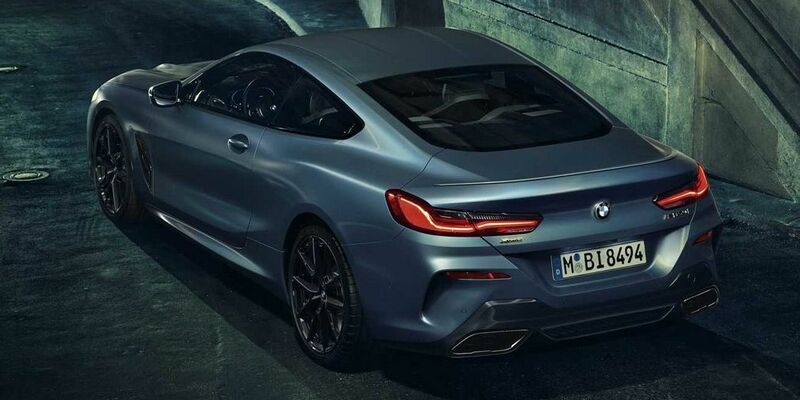 BMW 8-Series First Edition will be launched this April.